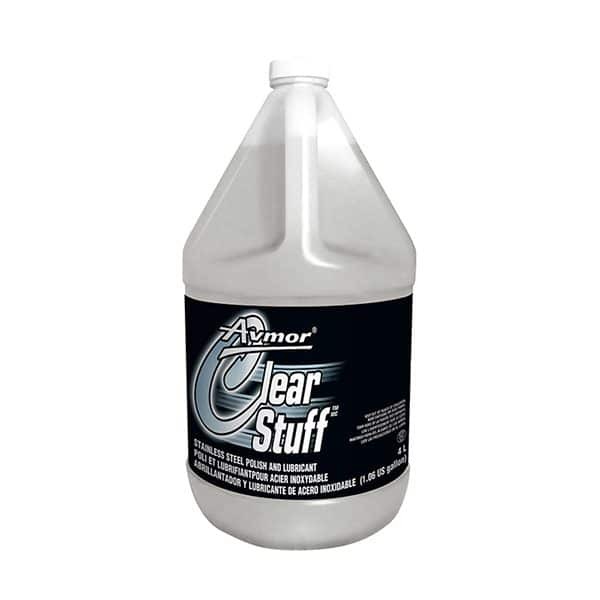 CLEAR STUFF is a Cleaner, Polish and Surface Preservative for stainless steel, aluminium & galvanized steel. It provides a brilliant shine while protecting the surface. CLEAR STUFF’s triple action lubricates, provides a durable protection against rust and also helps prevent oxidation. CLEAR STUFF makes your surface shine again in only one application. Use full strength: READY-TO-USE PRODUCT. 1. Fill CLEAR STUFF sprayer bottle with product concentrate up to fill line. 2. Re-install trigger sprayer. 3. Adjust sprayer nozzle and use as required. 4. Spray on a smooth cloth or spray lightly on the surface. 5. Wipe and polish with a clean and smooth cloth.